Social work researchers gathered in New Orleans last week for the 21st annual conference of the Society for Social Work and Research (SSWR) bracing for the impending presidency of Donald J. Trump and mindful that his administration will bring challenges for the profession and many of the vulnerable citizens we serve. I agreed to be the moderator for a special session entitled: Social Work’s Role in Shaping the Narrative: Action Steps for Post-Election Participation that would explore strategies and messages needed during the next four years of a Trump presidency. Several social work faculty had independently approached SSWR president Dr. James Herbert Williams, seeking space in the conference to address the topic. He brought them together and commissioned their special session and several others. Drs. Darcey Merritt and Jennifer Manuel at the Silver School of Social Work at New York University, Dr. Lenna Nepomnyaschy at Rutgers University School of Social Work, Dr. Julia Henly at the University of Chicago School of Social Service Administration, and Dr. Amy Thompson at the University of Texas at Austin School of Social Work combined their talents and skills to create the forum. The result was quite impressive. They reached out to Congresswoman Karen Bass (D-CA-37) who just six months ago completed her M.S.W. degree at the University of Southern California’s Suzanne Dworak-Peck School of Social Work. She agreed to participate via Skype. National Association of Social Workers (NASW) CEO Dr. Angelo McClain and Edin Heilman, Managing Attorney for the Southern Poverty Law Center rounded out the panel. About 145 people packed the room, evidence of a strong interest among social workers. Congresswoman Bass gave a rousing and compelling charge to the social work community that it was time for action—that we should not wait for the midterm elections to start mobilizing. She said we need to do voter registration, voter education, and civic engagement between elections. In terms of messaging, she believes Democrats could have done a better job communicating the many beneficial elements of Obamacare. She let us know that people on the Hill pay attention to the concerns of people who contact them and that we should know our Congressional representatives and we should let our voices be heard. Following her remarks and statements from the other panelists, I asked those in attendance to raise their hands if they were engaged in any civic engagement activities at their schools and about three-quarters of attendees raised their hands which is more than one might expect from a group predominated by researchers. There were several other 7:00 a.m. sessions added to the conference to address the need for more civic engagement. These were well-attended and most of the attendees were involved in activities on their campuses. SSWR has focused more on policy-related research in recent years. This year was the second year of its annual social policy forum. The forum featured research and work on poverty and child maltreatment that has implications for child welfare policy and services. 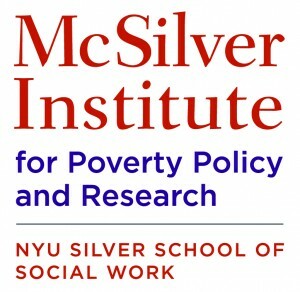 Dr. Lonnie Berger, professor at the University of Wisconsin-Madison School of Social Work and director of the Institute for Research on Poverty (IRP) presented research that supports the idea that economic-based interventions may produce better results in lowering the incidence of child maltreatment than psycho-social interventions, such as enhanced parenting skills and anger reduction strategies. Social workers are doing important research that can have influence social policy. Much of the policy agenda for the social work profession could emerge from the work of the 12 Grand Challenges initiative currently operating under the umbrella of the American Academy of Social Work and Social Welfare (AASWSW). CRISP will be working with Dr. Michael Sherraden, professor and director of the Center for Social Development (CSD) at the Brown School of Social Work at Washington University in St. Louis to push for federal legislation to support children’s savings accounts. His research and his book, Assets and the Poor, provided a foundation for the idea of individual development accounts and children’s savings accounts which were recently implemented in Israel with his guidance. Several states in the United States have initiated child savings accounts. Civic engagement seems to be the overarching theme of social work profession’s response to the new administration. Had more progressive voters gone to the polls, had more young voters gone to the polls we probably would not be speculating about the dangers that lie ahead in a Trump presidency. The next four years will be challenging. NASW says with its March is Social Work Month theme: it’s time for social workers to Stand Up! CRISP agrees it’s time to Unleash the Power of Social Work! 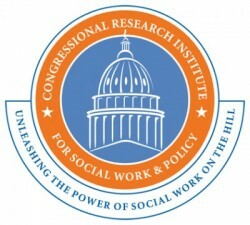 The post Social Work, Civic Engagement and the 12 Grand Challenges appeared first on Congressional Research Institute for Social Work and Policy. Social Work, Civic Engagement and the 12 Grand Challenges was originally published @ Charles Lewis – Congressional Research Institute for Social Work and Policy and has been syndicated with permission.